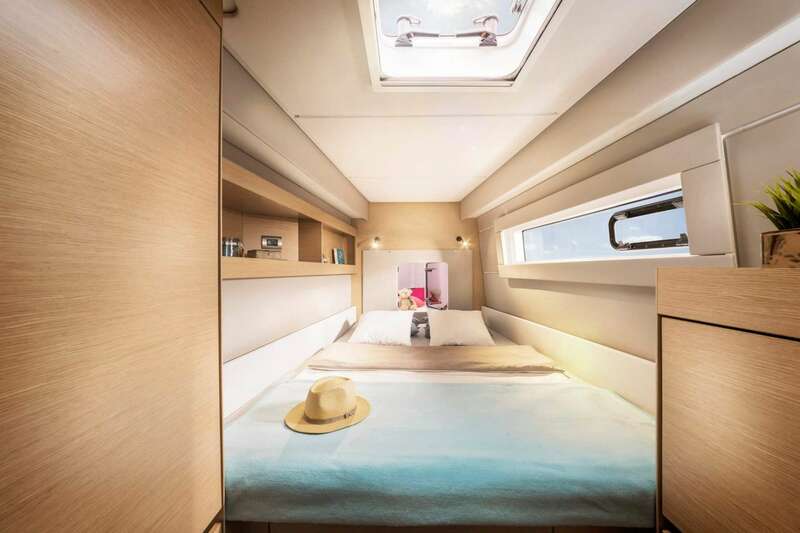 ILLUSION is a brand new, Nautitech 46 Open sailing catamaran. It’s easy to see why the highly experienced, owner-operator chose this build above all others. She is sophisticated, high-tech, ultra-modern and designed with an enormous amount of indoor-outdoor living space, equivalent to a respectably sized apartment. 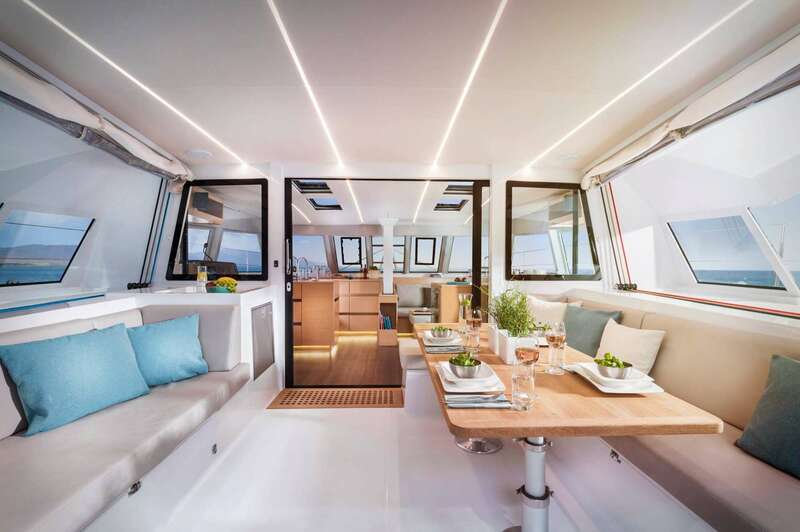 To put it simply, ILLUSION is perfect for charter. 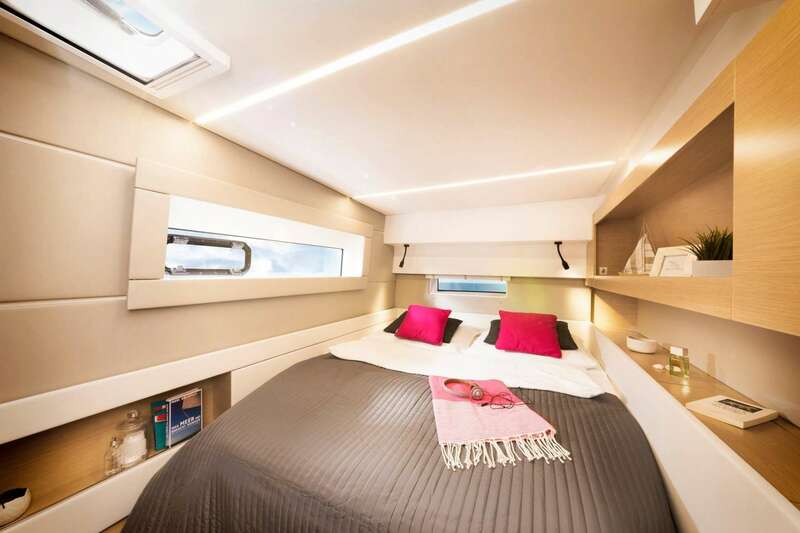 Wide patio doors open onto the alfresco dining and lounging areas beneath the protection of the rigid bimini. Comfortable seating around the large table is ideal for anyone who loves alfresco living protected from the sun. 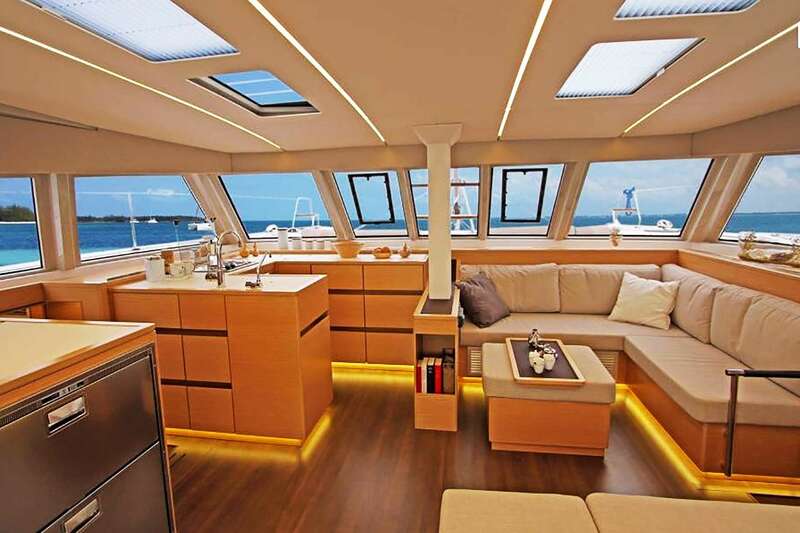 Those who want to bask in the sun, cooled by the tropical wind, can sprawl across the sunbathing area between the hulls. From the four guest cabins, the sea is always in sight. They are spacious and airy, with bright furniture finishes and lots of indirect light. 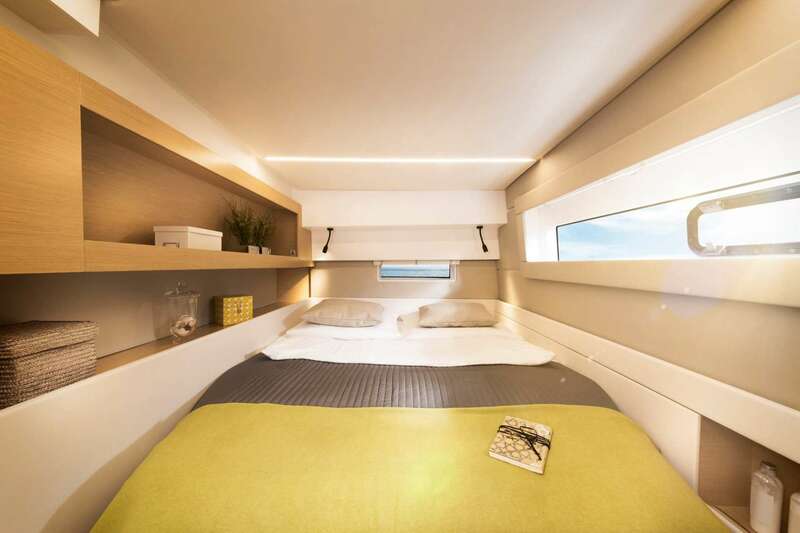 Two are equipped with king beds and two have queen beds. 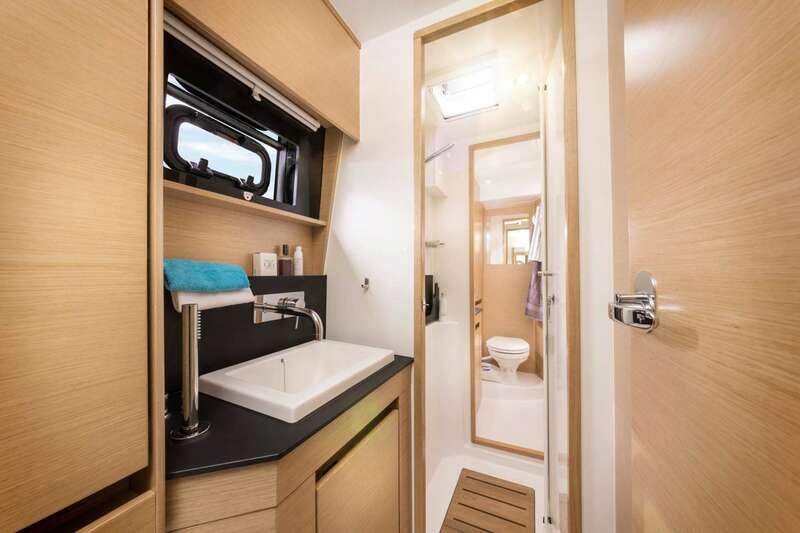 Each is ensuite, with toilet and shower, iPod dock and electric fan. 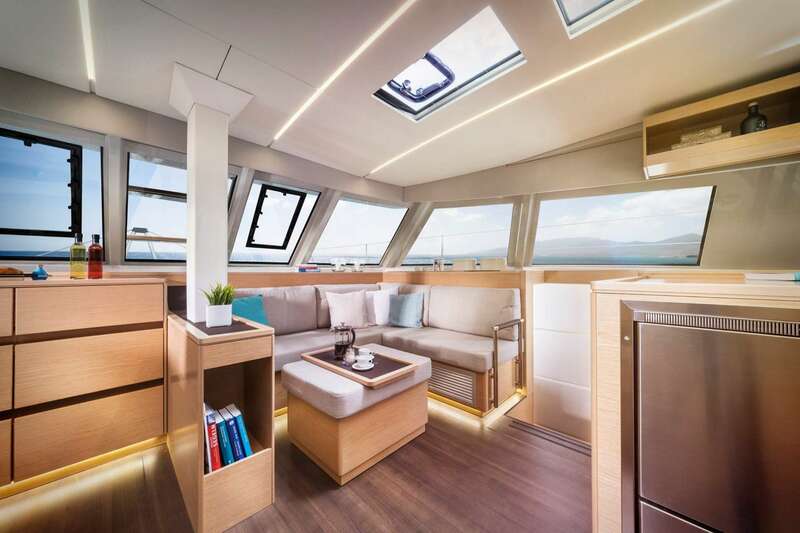 There’s ample natural light and ventilation thanks to hull windows and plenty of overhead hatches. 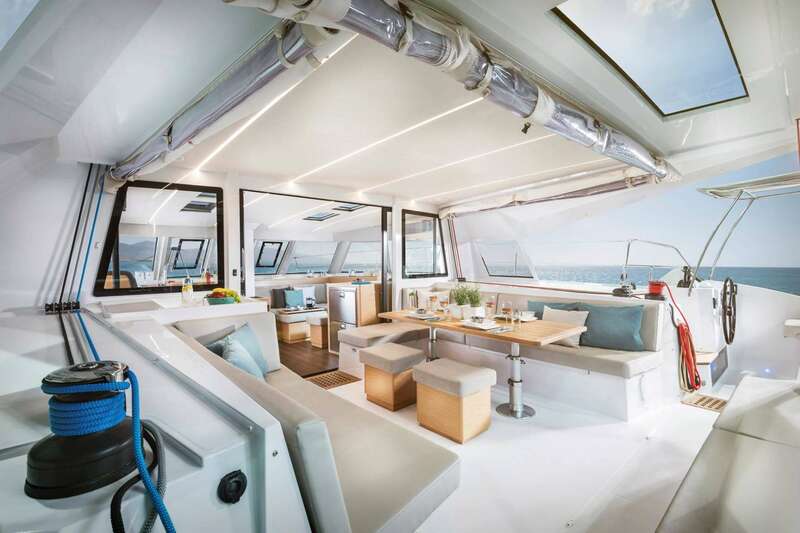 Whether you and your guests are inside or on deck, everywhere there’s ample room to move around safely and without getting in the way of other people. In fact, the cockpit lounge boasts ample space for up to 12 people. Overall, if you’re charter requirements include performance sailing and luxury living, ILLUSION will delight you.